close to the user at minimal cost. Moreover, 3D printing crosses not only borders, but has already crossed the atmosphere. 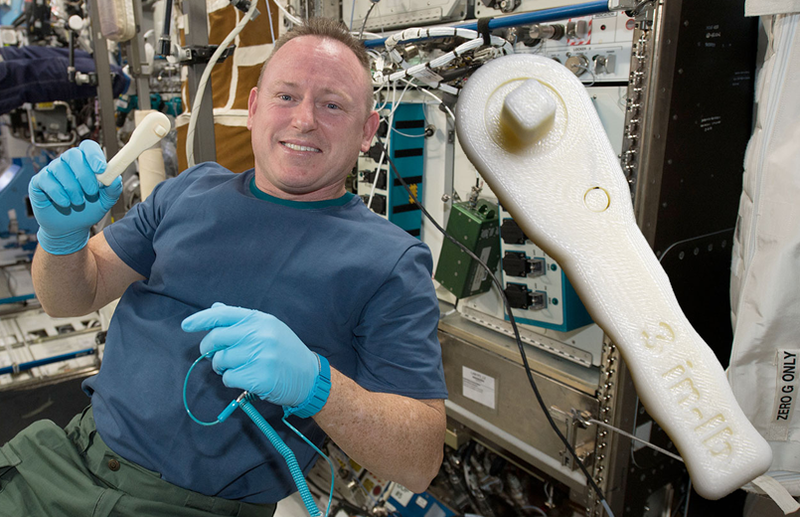 A few months ago, NASA sent a 3D printer to space and when an astronaut in orbit needed a tool that was not at hand (“Houston we have a problem!”), Houston sent a digital file and, in a few hours, the tool was ready for use. a) Fused deposition modelling (FDM for short) – which uses a plastic wire which is melted and placed systematically on a surface where it cools and solidifies thereby creating a layer, this process is repeated depositing each layer on top of the other until a 3D object is achieved. b) Stereolithography printing (SLA for short) – which uses liquid photosensitive polymer resins, which are special liquid polymers that harden with UV light (or a laser with similar wavelengths). This technique is used to create three-dimensional objects. The 3D object is formed by hardening the resin layer by layer via the laser. To see a video of the process be sure to visit the page in a few weeks! Currently, there are a number of trends in 3D printing: costs of printers are declining dramatically because patents registered in the 80’s on this technology are expiring and the economy is changing, the market now wants unique and custom objects, which encourages technological innovation as part of everyday life. In addition, through different social networks such as thingiverse, 3D designs are being stored, shared and sold, allowing the general public to access a wide selection of objects, modify them, and in many cases improve them.